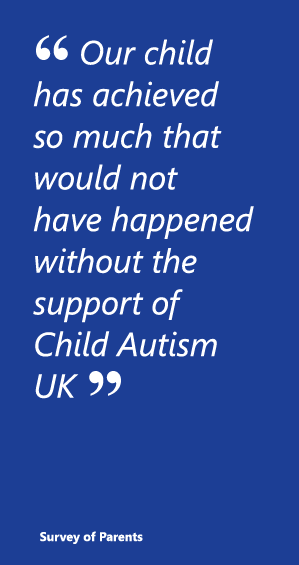 Child Autism UK is a national charity that supports and informs parents of children with autism in the early years. It advocates the use of home based early behavioural programmes (also known as ABA). These programmes aim to enhance intellectual, academic, social and emotional behaviours so that children can take full advantage of social and educational opportunities available in their communities and require less professional support as they grow older.